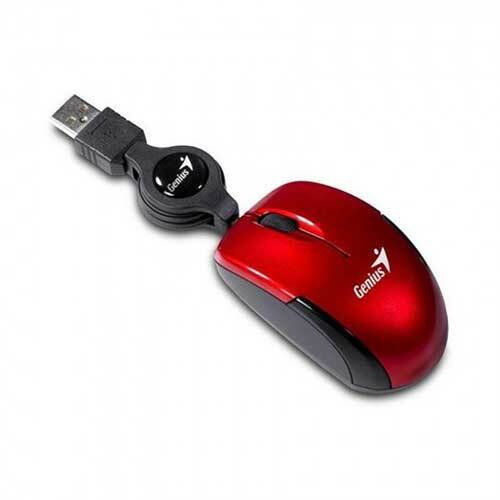 Genius Micro Traveler USB Retractable Mouse - Ruby, 3way Technology, Ltd.
Come and experience the most mobile and super mini size optical mouse for a notebook from Genius~ Micro Traveler. Featuring an advanced 1200 dpi optical sensor, Micro Traveler has incredible smooth tracking performance for cursor movement to let you browse documents or Internet pages more efficiently. Plus it’s super mini size 74mm with easy to store retractable cable and light weight design for any mini notebook is definitely providing more comfort feature than the notebook touch pad. Thus, for a high mobility notbook mouse, there is nothing better than Micro Traveler. Contact your sales representive now for more information.